video or 4K video. This simplified bar graph makes it simple to figure out what kind of streaming quality you can expect from your connection. At the bottom of the results page there is now a button to Test Wi-Fi. 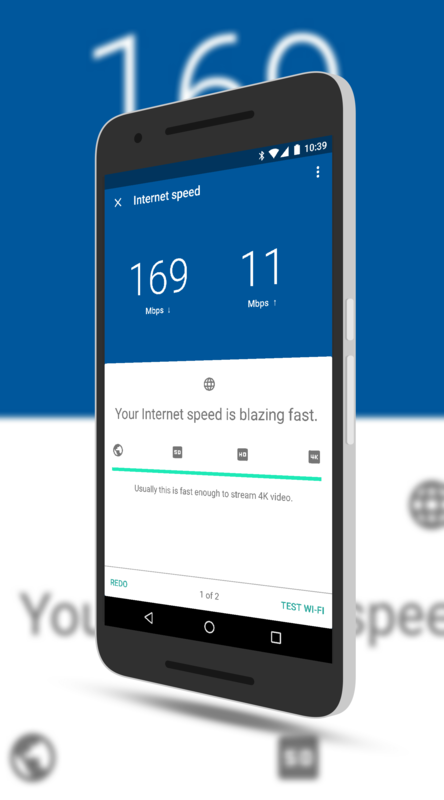 If you want to test your wireless connection from your phone to your OnHub router, tap that and the test will begin automatically. The results for the Wi-Fi test have equally easy to understand language on how your wireless connection is behaving. You can get more information however by tapping on the overflow menu then tapping on More Details. Here you will get an exact speed measurement and an explanation of how environmental items like your house construction, distance between you & your OnHub router, etc. 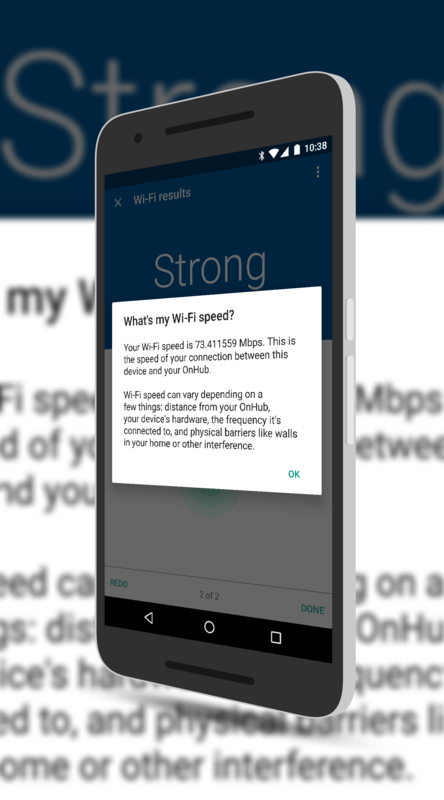 can impact your Wi-Fi speed. capture on the left however, you will see that my Wi-Fi test results show that my phone is downloading at 73 Mbps. In this test, my phone was some 50 feet away from my OnHub router and I have two thick walls in my basement that the signal is having to go through. If I move into my living room where the router lives, I bump up to over 120 Mbps. To see these changes, you’ll have to have the latest Google OnHub app which is in the Play Store. If you have the app already installed, you should have received an OTA update for it or will shortly.